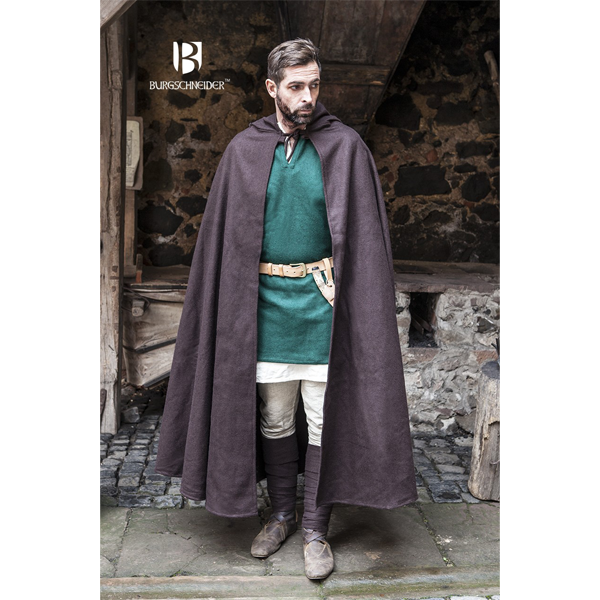 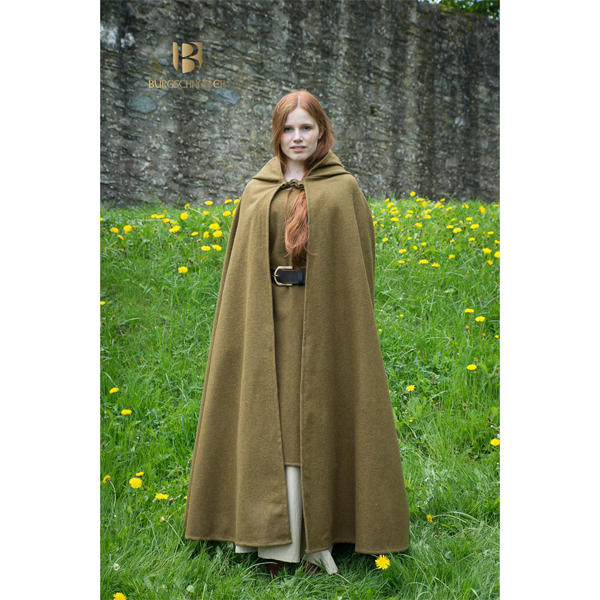 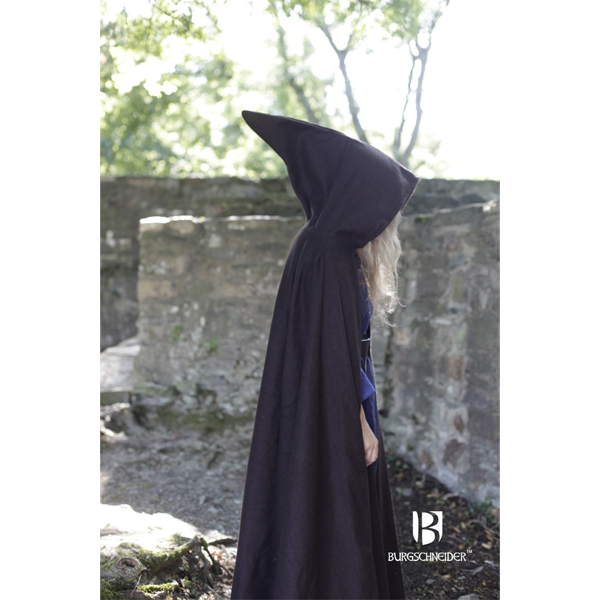 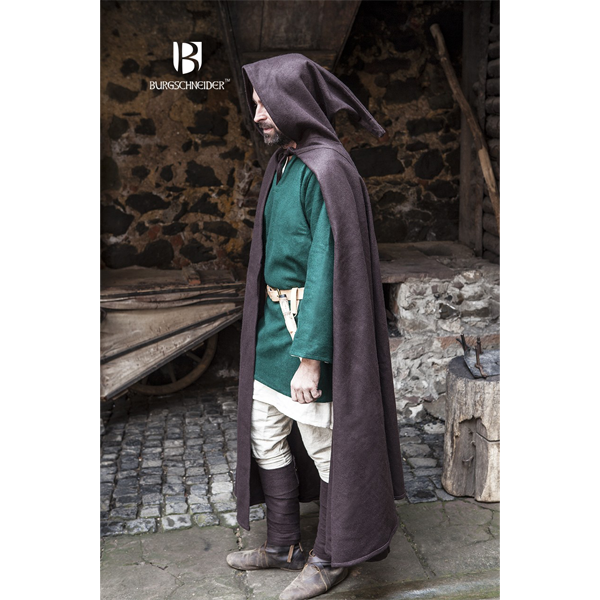 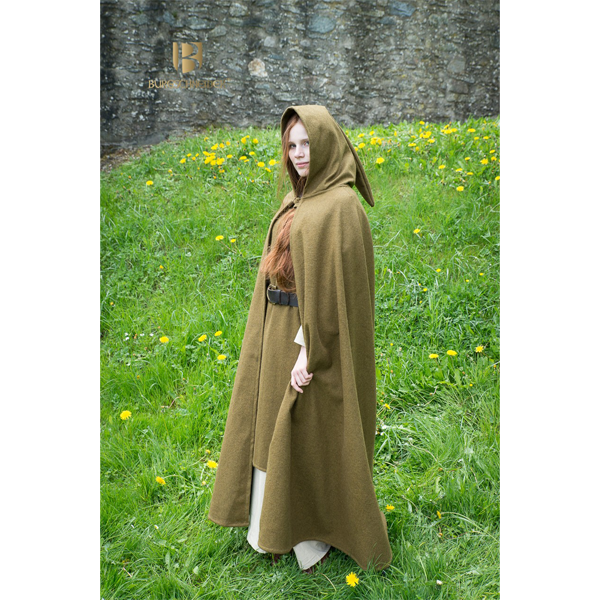 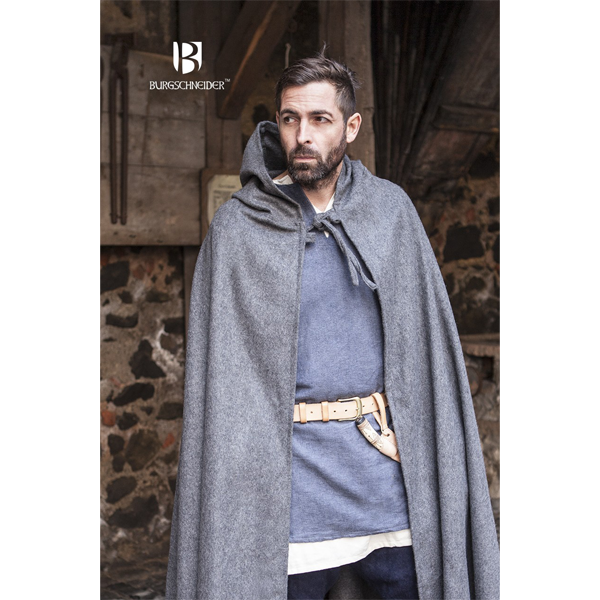 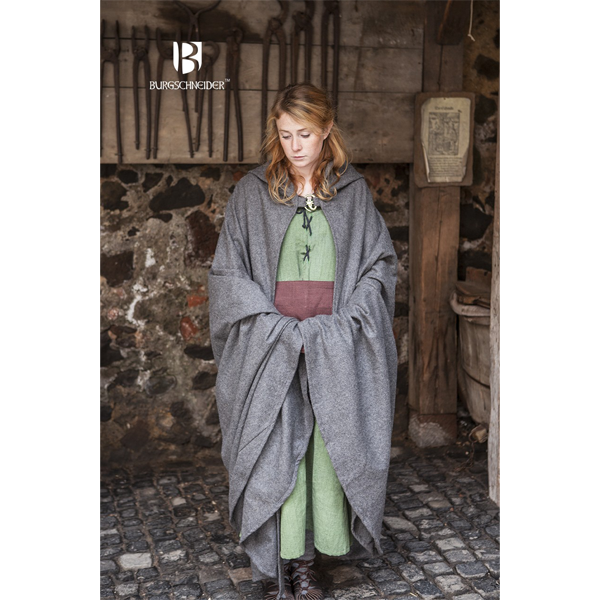 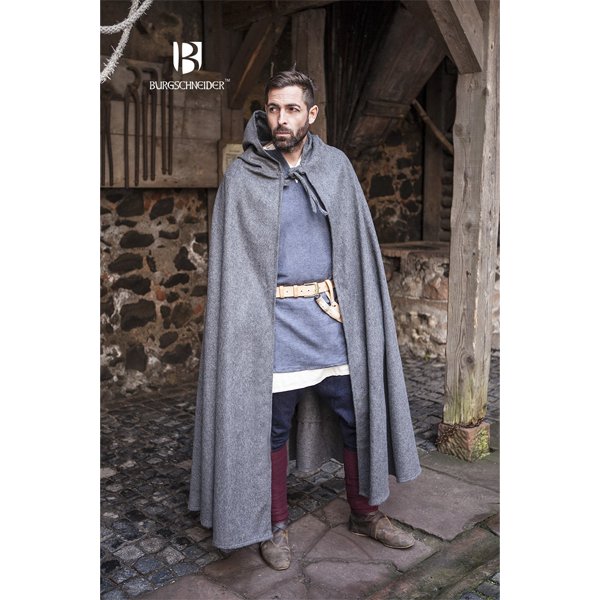 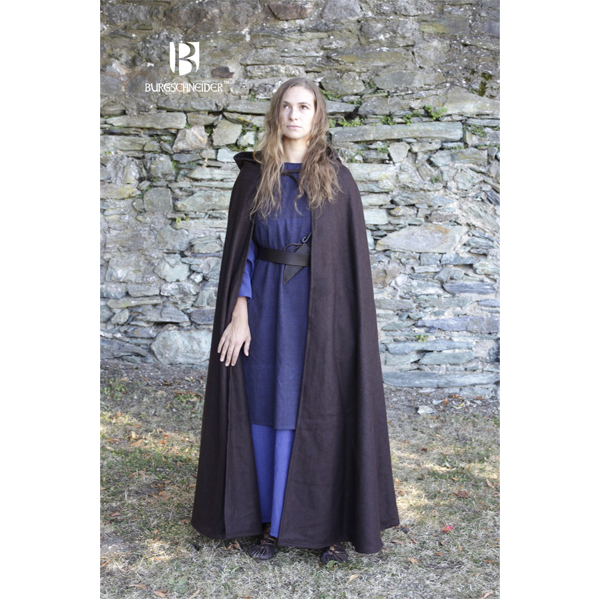 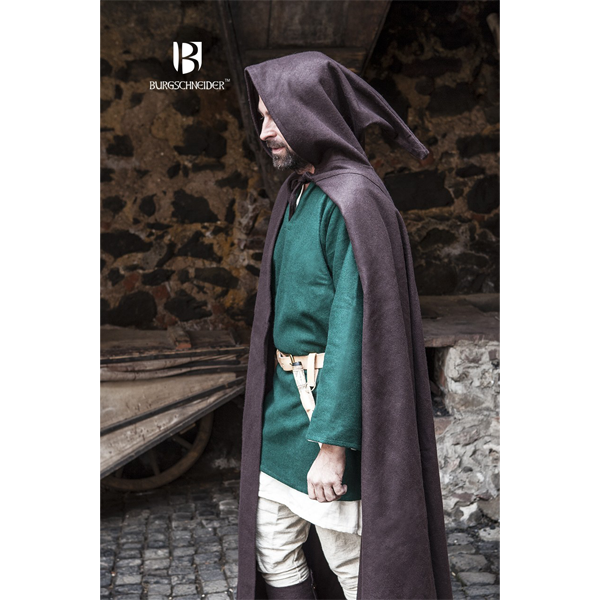 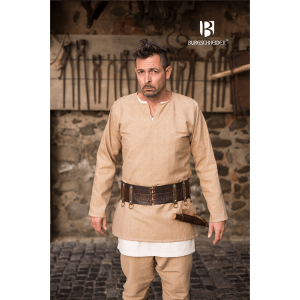 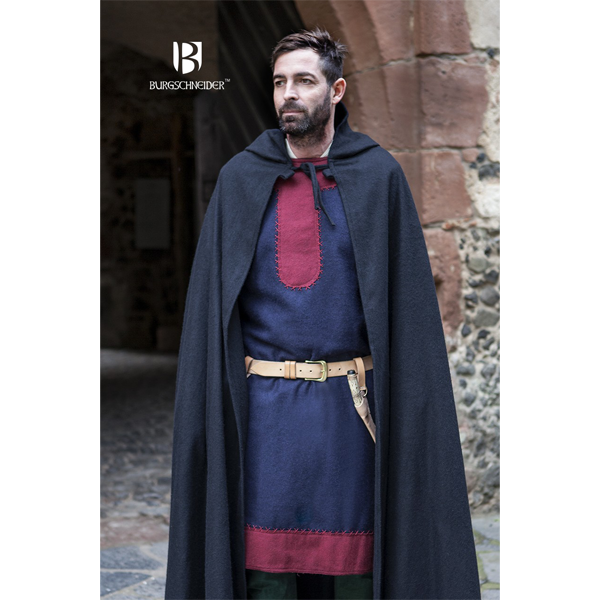 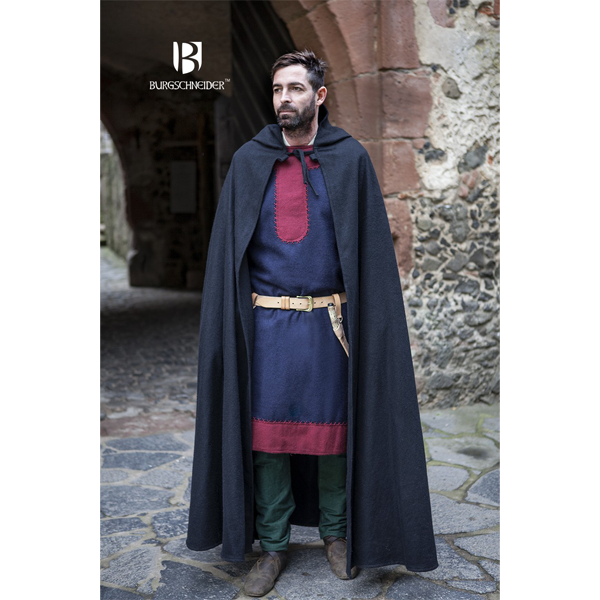 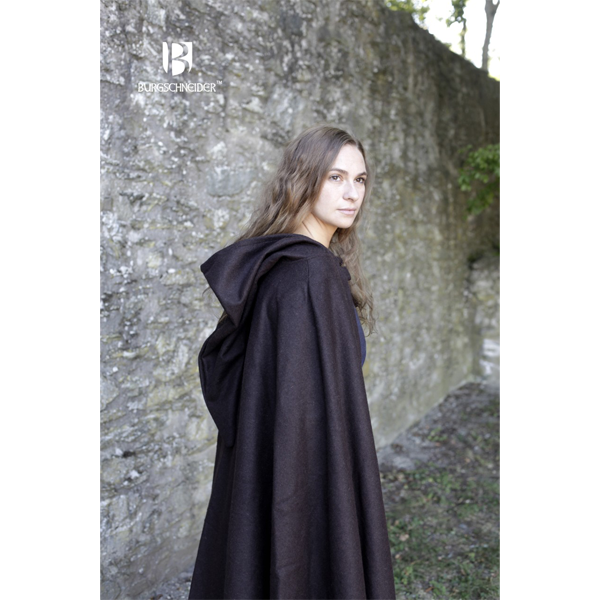 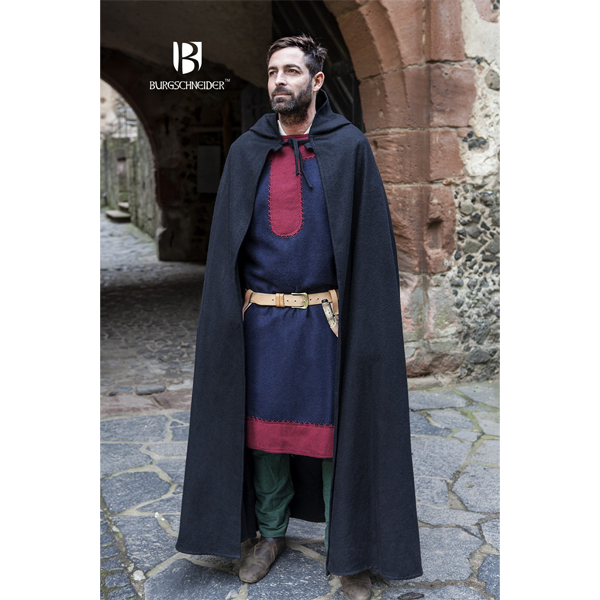 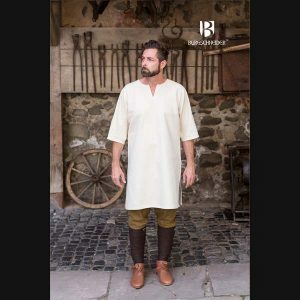 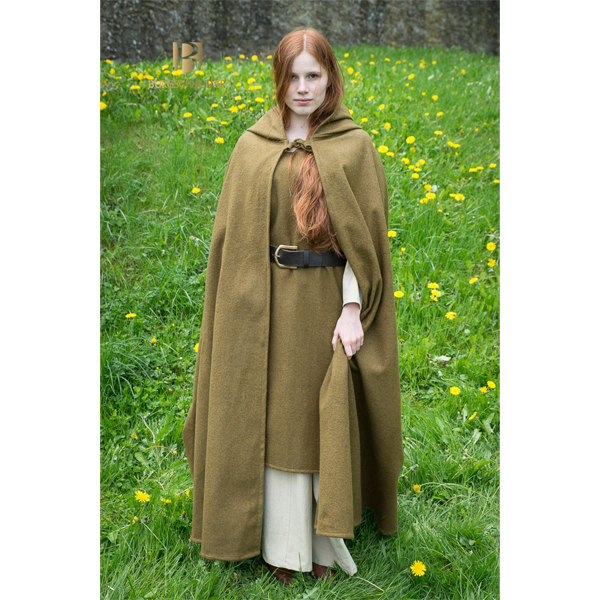 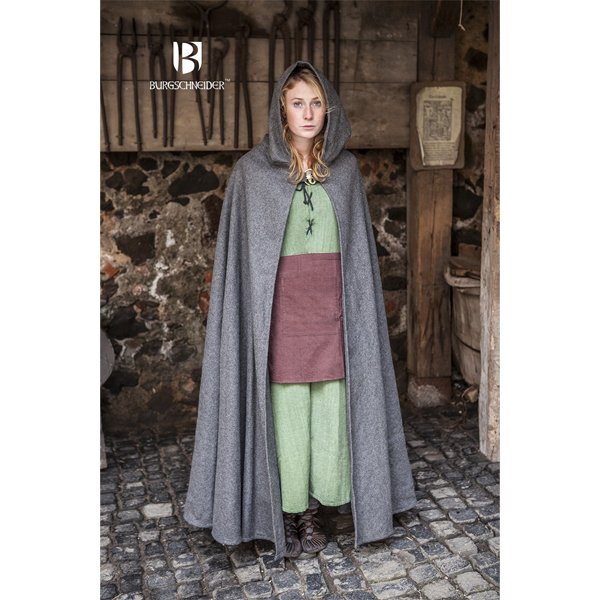 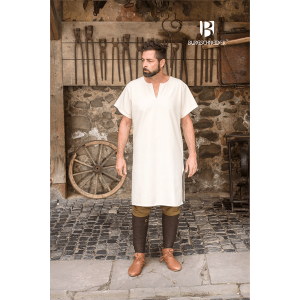 This?Hooded Cloak Hibernus, is a semi circular hooded cloak suitable for both men and women, the pointed hood is typical for mid to late middle ages, on the upper reverse of the cloak are two loops for attaching a spiral fibula as well as two fabric bands for binding. 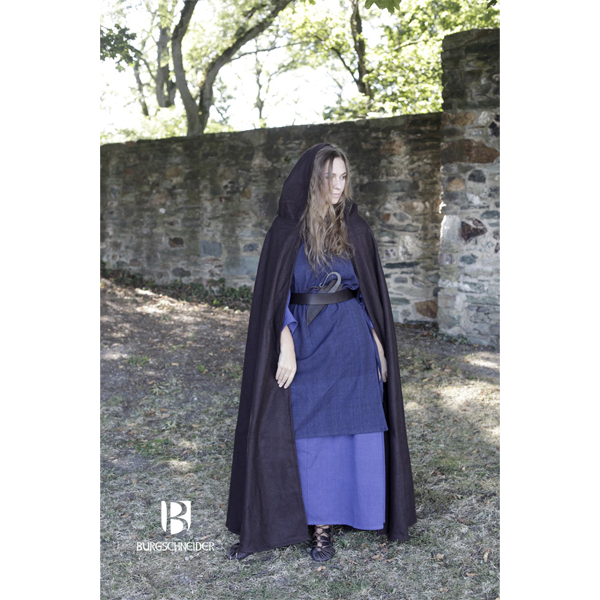 The sizes refer to a length up to the ankle or to the lower calf. 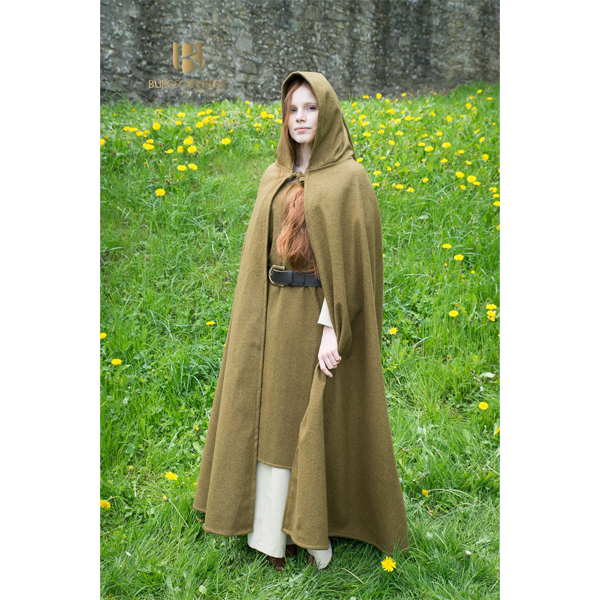 With all natural Fabrics, it is important to follow the washing instructions carefully in order to keep the costume in the best condition.